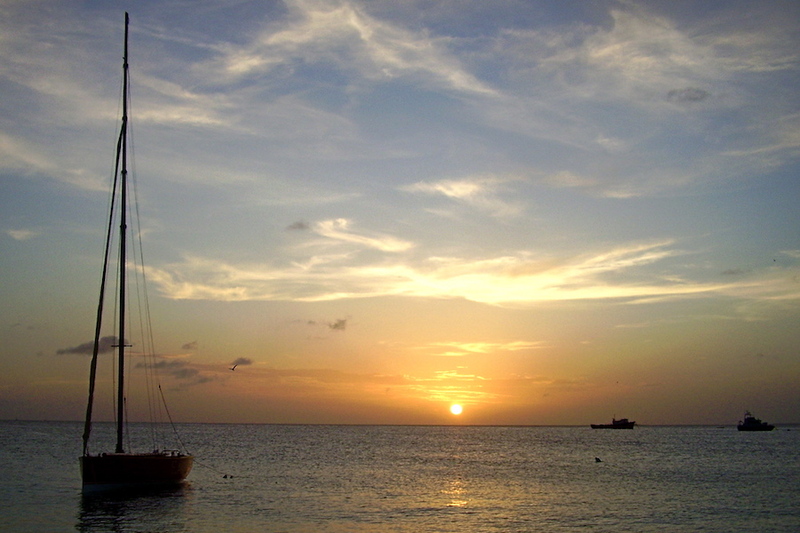 Anguilla’s Atlantic coast has been blessed with some of the most beautiful beaches in the world. The vast majority of those who visit the island come for the crystalline water and virginal sand of its shoreline, but beyond the rush of swimming in the perfect blue most people who buy a house in Anguilla do it before they have fallen in love with the island—that is, with the flair and the attitude, the colors and the styles that abound most of all away from the coastline. That is precisely the sort of thing you will find in South Hill and Sandy Ground, the stuff that really makes Anguilla special. This charming village on Anguilla’s northern coast is neatly tucked on a narrow lip of land flanked by water to east and west. 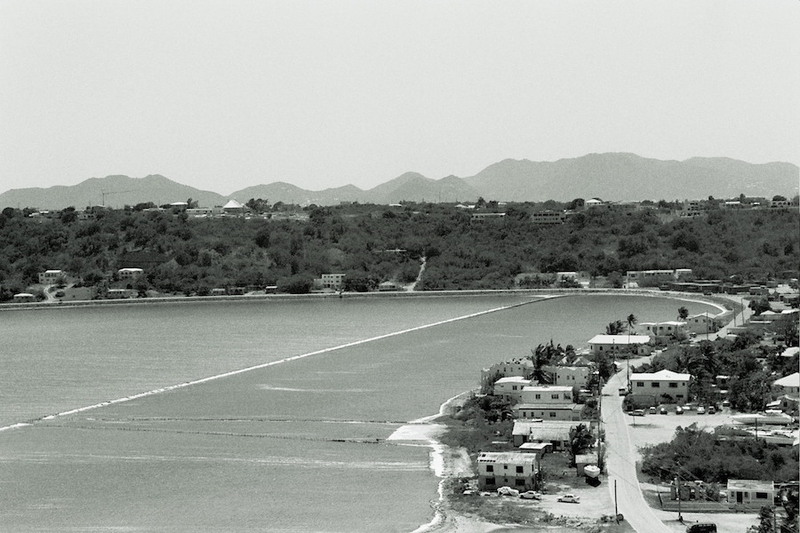 Though its name clearly alludes to the characteristics of the soil, the most important element in the development of Sandy Ground has actually been the construction of the single road that cuts down from South Hill to the sea—as can be surmised from the names given to the two bodies of water adjacent to Sandy Ground: Road Bay on the one hand and Road Salt Pond on the other. Once a traditional fishing village, the settlement has been at the core of Anguilla’s commercial activity for over a century. 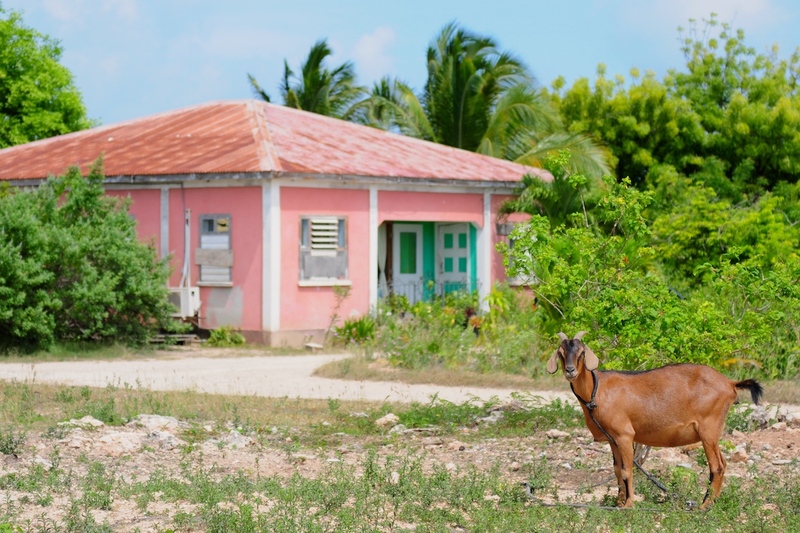 Nevertheless, Sandy Ground preserves much of its traditional identity, with quaint houses on modest stilts dotting both sides of the road, and gingerbread and wooden shingles—the true hallmarks of Caribbean architecture—adorning the landscape. The north end of the bay still harks back to the days when fishing was Anguilla’s mainstay, though it takes nothing more than a cursory glance to realize that times have changed: right across, the sturdy commercial pier attests to Anguilla’s growing thirst for imports, while the picturesque wooden dock in the middle of the 700-yard beach is usually teeming with tender boats from the sumptuous yachts riding anchor off the coast. Boating is still a central component of life not only in the village but all around the island—and never is this more palpable than during the Summer Carnival celebrations at the start of August. 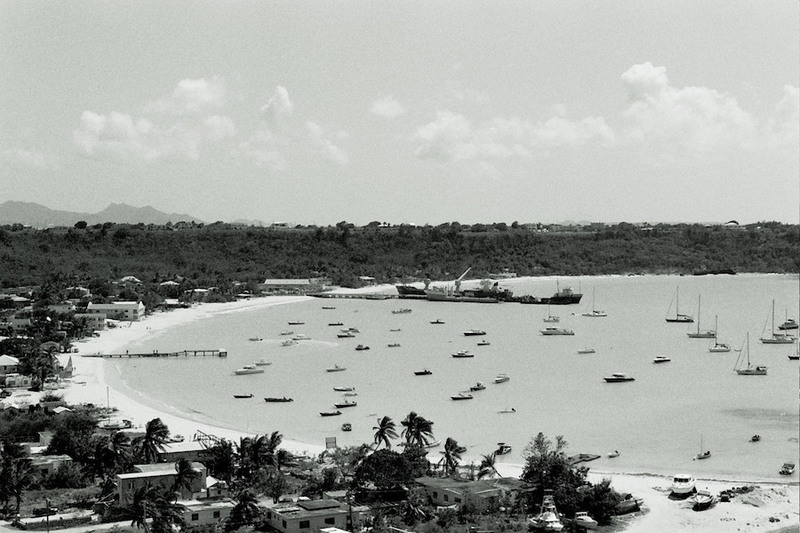 In Anguilla, carnival is concerned not with the religious festivity that ushers in Lent but rather with the anniversary of the official abolition of slavery in the British Empire, which came into force on August 1, 1834. Every year the island slides into a festive mood at the height of summer, with boat racing week taking pride of place among the events organized to mark the occasion, and Sandy Ground in particular is at the heart of this sailing frenzy.August Monday, on the first Monday of the month, attracts huge crowds who begin the day with the famous J’ouvert jump-up party before heading down to Sandy Ground to witness Anguilla’s fleet of race boats (and occasionally also the odd guest competitor from French and/or Dutch St. Martin) sail out of Road Bay sometime around noon. All in all four races (Sunday, Monday, Wednesday and Sunday) are held at Road Bay during the long week, including the all-important Champion of Champions on the final Sunday, which features the top performers of the previous five races and serves as preamble to the official closure of the summer festival. 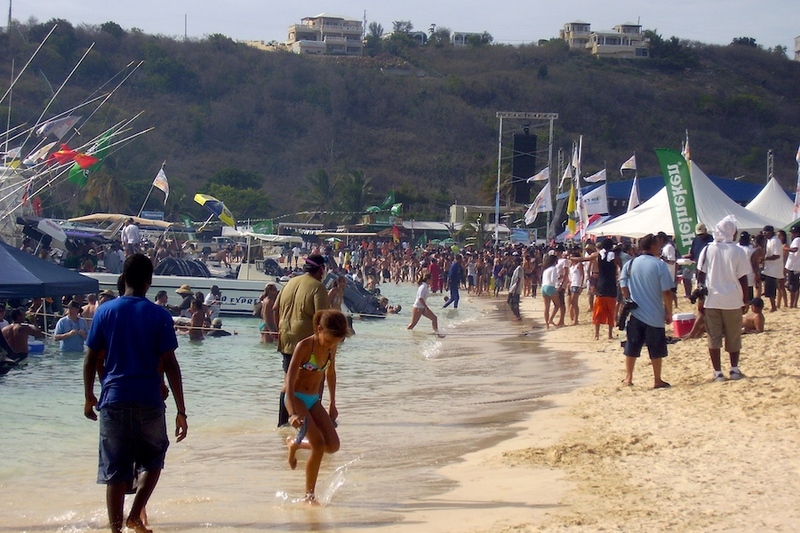 For the full calendar of activities visit the Anguilla Carnival website. 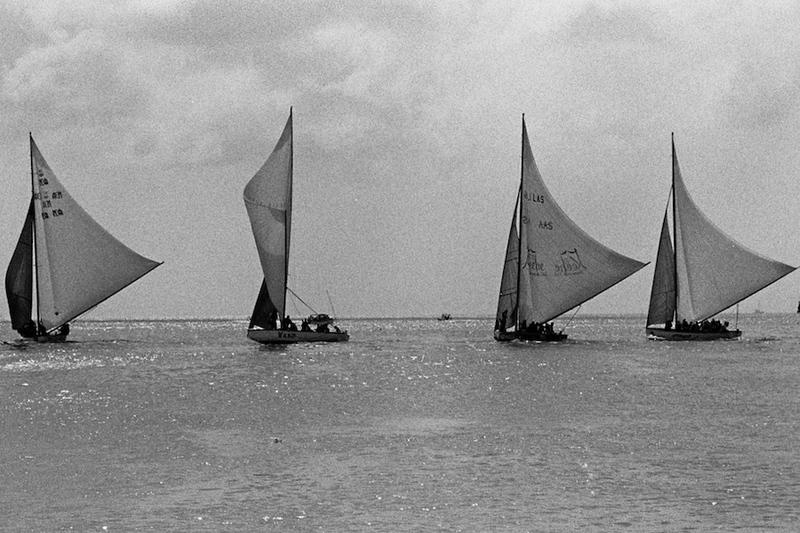 You can also keep track of the key dates in the Anguilla boat race season on the official website of the Anguilla Tourist Board. Sandy Ground’s status as the umbilical chord of Anguilla’s economy dates back more than a century, to the days when salt picking provided Anguillans with a rare respite from economic hardship. 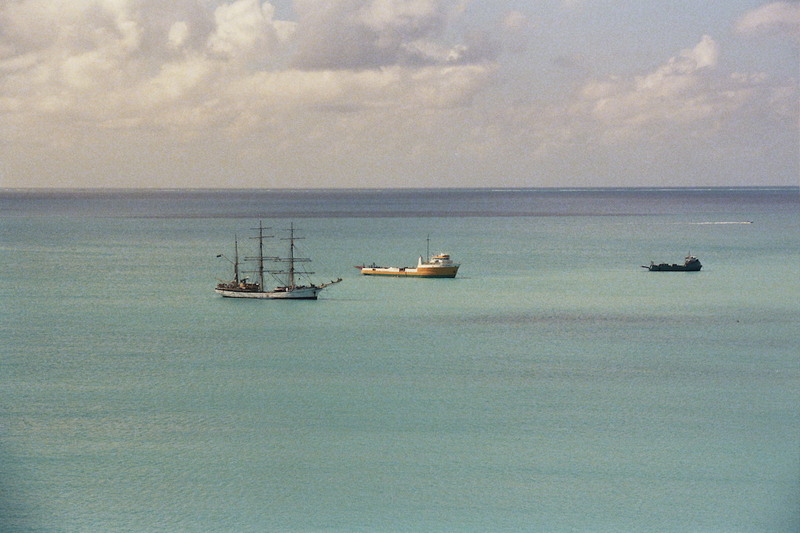 Unlike plantations, which require fertile land and reliable rainfall, the salt industry flourished in Anguilla in the nineteenth and early twentieth century. 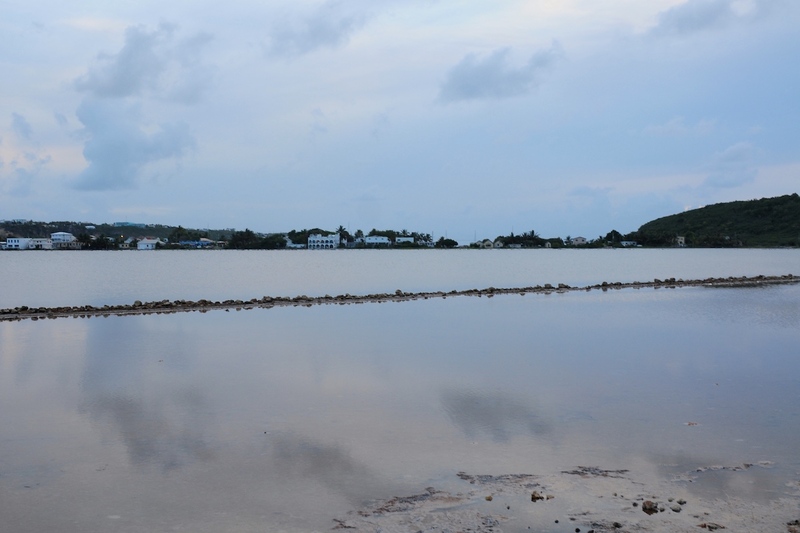 While the business dried out by the 1980s, evidence of the prominent role played by the Road Salt Pond in the life of Anguillans lingered far longer. First it materialized in the shape of a tall pyramid of salt—reaped and ready—which for years sat across the pond before withering away from the effects of the weather and, perhaps, too from the odd villager shoveling home a fair helping of the white stuff (imagine that, being able to walk down the road a few steps to get a handful of fresh salt in case of an emergency instead of having to knock on the door of your perfectly civil neighbor who still always succeeds in making you feel uncomfortable). Years later, when all that was visible of that mountain of salt was the dry patch it had left on the side of The Road, the wooden structure which since the beginning of the century had housed the pump used to operate the salt pan was brought back to life as, of all things, a bar. In no time The Pumphouse grew into the most popular nighttime hotspot on the island for locals and tourists alike, helping transform Sandy Ground in the process, which has become home to many bars and restaurants, from the historic Ripple’s to the charming Le Bar. In 2017 hurricane Irma left its mark on the village, sweeping The Pumphouse out of this world and causing widespread damage on the low-lying area. Yet there is something about a close-knit, proud community that no storm, no hardship, no shift in the economic activity of the area can ever dilute. Sandy Ground is still teeming with beautiful and historic buildings which have survived Irma and many other storms before it: there’s still the fabulous White House where John Updike once stayed, right across from Johnno’s restaurant, one of the very first eateries on the island; there’s still the pretty Methodist church halfway along the strip, and the more secluded Old Manse halfway up the hill. Yet what really makes Sandy Ground special is the sense of ownership and kinship that reigns among those living there, the true identity of a village that for a long time has been at the forefront of the island’s fortunes and that nevertheless has managed to maintain its very singular mystique. 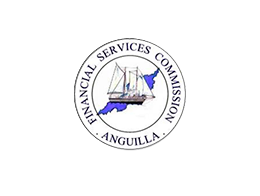 Anguilla is a flat island all around, but even flatness is a matter of degrees and in that sense the south coast of the island is markedly flatter than the north. Despite its name, South Hill lies on the north coast of the island, and is part of a series of promontories—South Hill, North Hill, Crocus Hill, Welches Hill, White Hill—which run sideways from West End to Island Harbour. Yet the origin of South Hill’s name is not as enigmatic as it might seem, for it does derive, indeed, from the hill’s location, due south of Road Bay, wedging Sandy Ground between itself and North Hill on the opposite side. 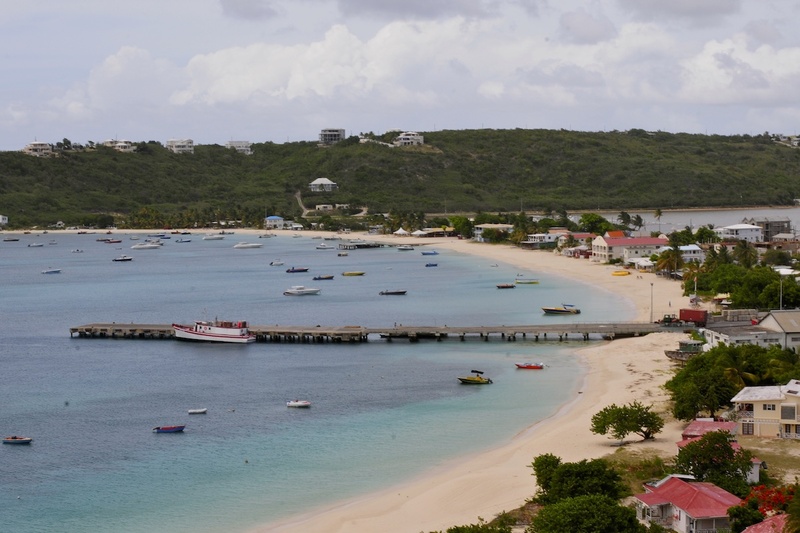 South Hill is home to the villages of South Hill and Lower South Hill, with the latter lying not at a different height to the former but rather downwind from—in other words, further west (as a norm, the wind in Anguilla blows from east to west). Usually a stop on the way elsewhere rather than a destination in itself, South Hill is carved in two by Anguilla’s main road, on its way from Sandy Ground to Meads Bay. This has turned the area into a diverse commercial community with an array of restaurants, shops and even the odd mall scattered here and there. On the northern edge of the hill, along Back Street, spectacular views open onto Road Bay, Sandy Islands and the cays offshore. 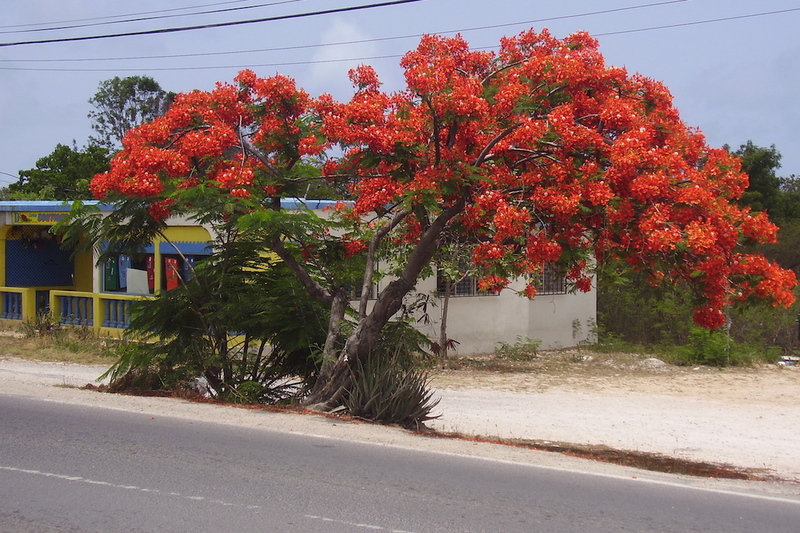 Meanwhile, the vegetation on South Hill is among the most striking on the island, with colorful flamboyant trees—red, mainly, though also yellow and once in a while also orange—lighting up the sides of the road in the early summer. South Hill profits from the tourism industry yet has remained relatively immune to the invasion of foreign architecture that has plagued Anguilla’s constructions, especially on the shoreline, since the late 1990s. Traditional design finds its place in South Hill, with many concrete or stone buildings with hipped or gabled roofs, often in galvanized, spreading a genuine Caribbean feel. 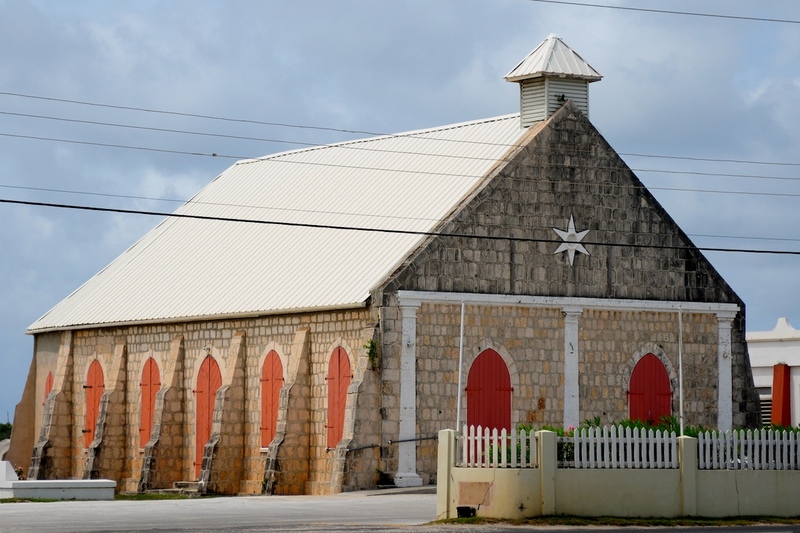 Nowhere is this most markedly evident than in the imposing Bethel Methodist Church, a monumental structure that with its trademark limestone and bright red doors underscores the prominent role this religion has enjoyed in Anguilla over time. Though hurricane Irma claimed in September 2017 the gabled galvanized, the restoration of the church, like that of the whole island, is sure to leave it better than new. Anguilla has earned a reputation over the past few decades as one of the most glamorous destinations in the region but what you find when you visit South Hill is less of the artificial bling and more of true Anguilla—which is always mesmerizing. Discover all our available properties in Sandy Ground and South Hill.